Caravans, campervans, motorhomes and camper trailers enable real holiday freedom while still providing the modern conveniences of home. 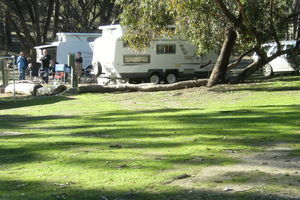 An enjoyable, affordable and relaxed way to travel, holidaying with a caravan is an ideal way to experience The Grampians and Wartook Valley. 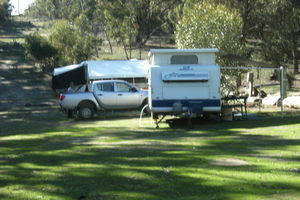 Wood BBQs, Hot Showers and Flush Toilets are provided for both Powered and Unpowered Camp sites. Wood can be purchased by the bag for your use, or you can bring your own. * Extras: Add $10 per adult and $6 per child (under 16 years) for everynight of accommodation.